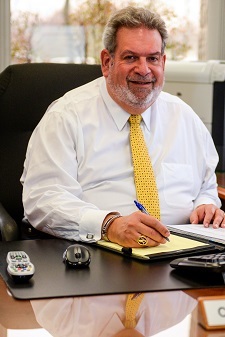 Managing Partner, graduated Hofstra University in 1979 with a BBA with a specialization in accounting. Craig has been actively practicing in the accounting field for over 40 years. Craig specializes in individual income tax and small business accounting as well as having extensive experience in the areas of Asset Protection, Family Limited Partnerships, Not-for-Profit and Voluntary Disclosure of Foreign Assets. Craig represents clients in matters involving the Internal Revenue Service, state and city tax authorities, including examination, collection and appeals representation. Craig currently serves as a Board Member and Treasurer for North Shore Synagogue, Zeta Beta Tau Fraternity and for Criss Angel's Johnny Crisstopher Children’s Charitable Foundation. Craig previously served as Board Member and Treasurer of the Zeta Beta Tau Foundation.